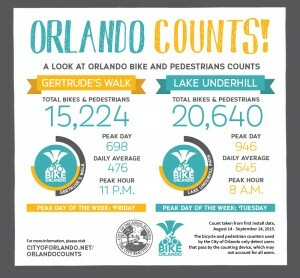 The City installed two bicycle/pedestrian counters in June 2015 that rotate every 30 days around various locations within the City of Orlando, including Lake Eola, the Orlando trail network, Downtown Orlando and Parramore. 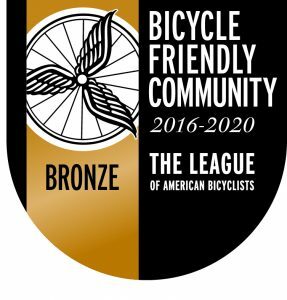 Getting baseline data for bicycles and pedestrians allows the City to better understand the patterns of usage on various types of transportation infrastructure. The data gathered by the program will be used to understand existing transportation corridors, trails, and parks and to provide a more comprehensive look at the City’s transportation model. For questions, please contact Ian Sikonia at 407.246.3325 or ian.sikonia@cityoforlando.net.